A lot of villains start to overlap, and we don’t know how to feel about it. 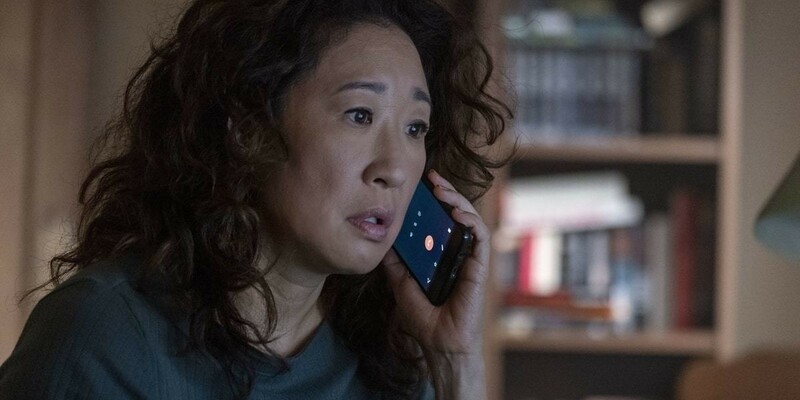 Killing Eve 2×02, “Nice and Neat,” introduces us to a ghostly new villain — and some really creepy dolls. In the first episode of season 2, Eve tried to overcome the trauma of stabbing Villanelle, got back on Carolyn’s good side (ish), and found a new murder victim to examine — Alistair Peele. Villanelle, meanwhile, had a stint at a hospital, where she loaded up on antibiotics, snapped a kid’s neck, and promptly ran away to the U.K. All in a day’s work. In this episode, “Nice and Neat,” things are unfortunately still preeeeetty tense with Niko, we meet the new squad, Eve makes a shocking new discovery, and Villanelle manipulates her way into the wrong hands. Let’s break it down. Although at the end of the last episode it seemed like Eve was about to tell Niko everything, it quickly becomes clear that she hasn’t done that. As she tries to find “stabbing” in the news like a paranoid murderer, she’s very careful to hide it from Niko… so I guess she didn’t tell him about the stabbing, after all. Instead, she buys a dress because Niko told her it looks nice. We’re reminded that it actually hasn’t been that long since Bill died, and Eve is having dreams about him. While Niko is sympathetic, there’s also something very guarded about his attitude. He still feels like Eve is mistreating him, which she really is by omitting the truth. It makes me sad because these two were such a great couple at the start of season 1, and Eve doesn’t seem to be putting in enough effort to reconnect with her husband, who has been trying to understand her for a long time now. That being said, Eve has a lot on her mind. She meets up with Carolyn to get back into the middle of things, and also gets some skincare tips from her. As usual, they don’t talk about what the heck went down in Russia, which will probably make things worse in the future. In the new office, we meet the new team. They have more space now, and Kenny doesn’t have a monopoly on the toilet paper! Elena is gone because she “doesn’t want to get murdered.” This is sad, because she was one of the funniest Killing Eve characters and Jess and Hugo aren’t nearly as charming. Jess is practical and professional, and probably pregnant (if she is, I love that pregnancy isn’t her defining feature — Killing Eve is elevating women through and through). Hugo, on the other hand, is mostly a slippery guy whose appearance is ruined by his personality. All he really contributes to the discussion is white privilege and hints that Kenny and Elena are having an affair. By the way, R.I.P. my Kenny/Elena dreams. Let’s hope none of these guys die by the end of the season. They get back into the investigation, although Eve has only told Kenny about the stabbing. Looking into Alistair Peele’s murder, Eve starts to connect the dots — dots that are much too discreet to be Villanelle and seem to point to someone much more socially invisible… a woman, a janitor, a person of color. Is there a new murderer on the loose? But throughout it all, it’s still obvious that Eve might be a little too emotionally invested in Villanelle’s case, and it makes one wonder if she’s objective enough to track this new killer. When her online search finally pays off, she discovers that Villanelle killed Gabriel, and sees an apple in the dead boy’s hand. Kind of like the apple from the Biblical story. A stretch? Maybe. But probably not. Villanelle, meanwhile, has arrived in the U.K, but her victory is short-lived. She’s soon passed out in a laundromat because her wound is killing her. Someone stole her meds, so she steals someone’s clothes, and ends up at a supermarket to hunt for someone to manipulate. But in her state, everyone just thinks she’s homeless (and they’re right, unfortunately, which she can’t possibly admit to herself). At least let your hair down to cover the bruises, Oksana! Finally, identifying her target, she puts herself in the hands of the most timid, malleable man she can find… but even Villanelle can be naïve sometimes. Julian seems gentle, but he lives in a house full of porcelain dolls, with a demented old mother that whispers hints that her son is violent. It soon becomes clear that Villanelle is in a predator’s hands, but weakened by her wounds as she is, she’s unable to defend herself from a man who wants to keep her sick and locked away for his pleasure. Clearly, the dolls are his. And he wants to add Villanelle to that collection. This episode is so hard to watch because I don’t know how to feel about this! Julian’s particular brand of abuse is very gendered, with underlying tones of pedophilia and female sexual abuse, as well as general domestic abuse when it comes to his own mother. That makes his actions nauseating because they echo things we’ve all heard in the news, or hints of attitudes we’ve seen in real people throughout our lives. But it’s still entertaining to watch Villanelle grapple with her new situation. After all, she’s far from innocent — she did murder a child last episode, and she’s definitely tortured people on Killing Eve. While I obviously want Julian to suffer and die because he’s the creepiest of creeps, it feels a little like poetic justice to see how, in hopes of destroying some innocent person’s life, Villanelle got herself into a situation where she depends on the most disgusting type of man imaginable. This is definitely the most vulnerable we’ve ever seen her, but she’s still a force to be reckoned with. Through her skills and all the strength she can muster, she drops the charade and manages to kill Julian. And she hasn’t given up on Eve. She touches her gunshot wound like it gives her pleasure, and when the crisis reaches its breaking point, she actually calls her for help. That “help” arrives late by a few seconds, though. Because Villanelle’s old employers are back. This time, her handler is a guy called Raymond, and he isn’t nearly as charming as Konstantin. After all the violence aimed at Villanelle this episode, it is upsetting to see her physically attacked by yet another arrogant man. Driving away, Villanelle and Eve pass each other and Eve JUST HAPPENS TO NOT LOOK. Despite being bruised and broken, Villanelle thrives in these moments. 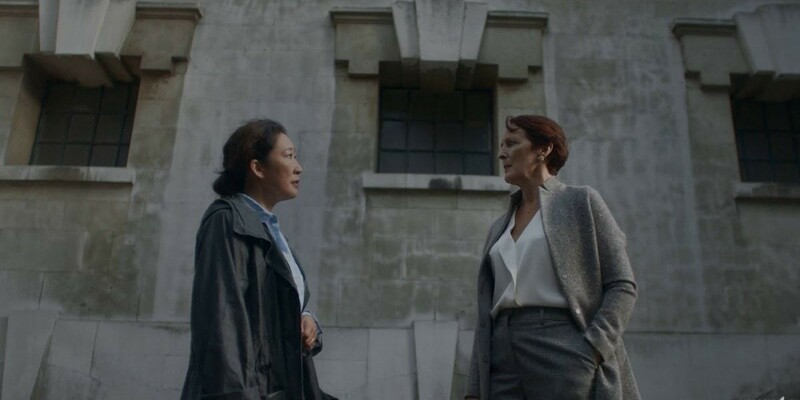 Too late, Eve realizes just how close she was to catching Villanelle. Frustrated and enraged, she turns to Carolyn — but calm as ever, Carolyn announces that Eve should get protection, and that there’s someone she has to meet. Yes, kids, Konstantin is back. And he’s probably still up to no good. This episode put all the pieces on the same board, and treated us to a lot of mixed emotions. I’m interested in seeing how people react to the abuse Villanelle went through in this episode… were you as conflicted about it as I was? Will Eve and Villanelle meet again soon, now that they’re just circling each other? Is Villanelle really any better now with Raymond than she was in Julian’s hands? What the heck is Konstantin up to? And oh, I almost forgot… who is this discreet new killer? See you next week, for 2×03 “The Hungry Caterpillar”… because we seemingly can’t escape children-related themes. 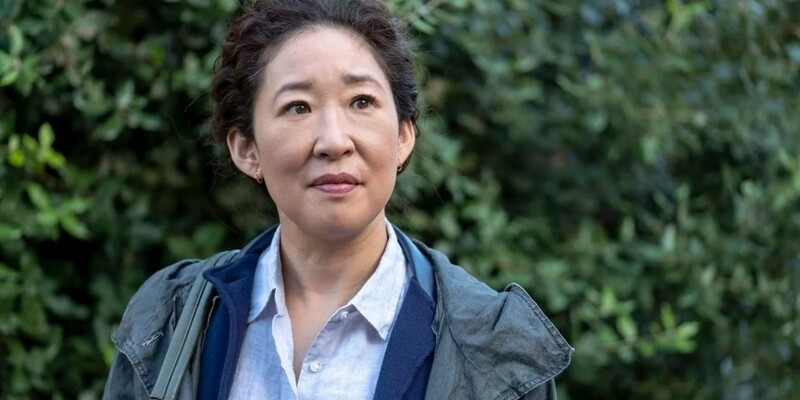 Killing Eve airs on Sundays at 8 p.m. on BBC America. See trailers, clips, and the full episode guide here.